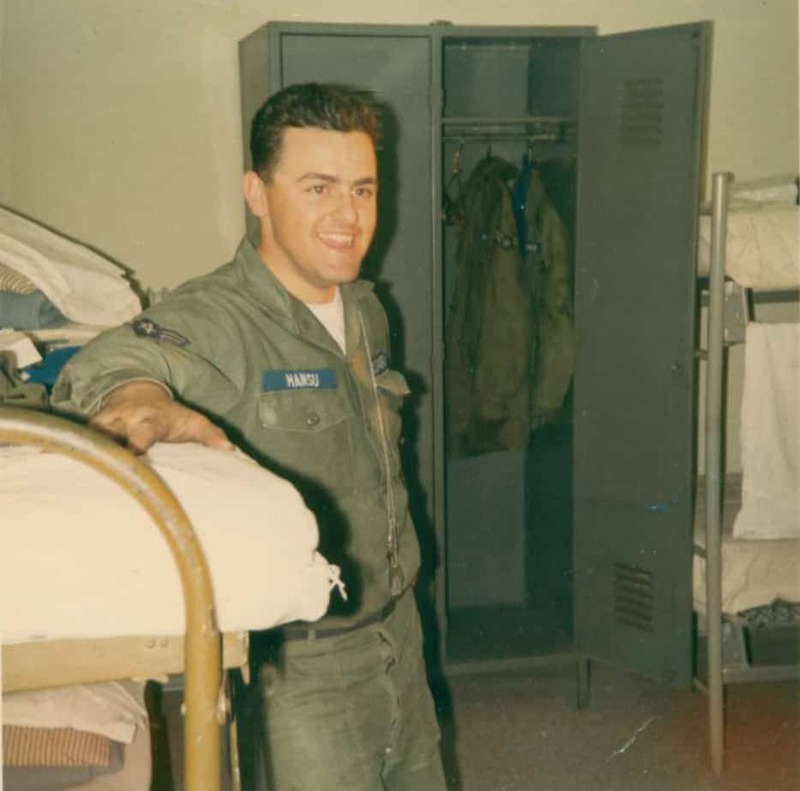 Sal Mansu volunteered for service in the United States Air Force at the age of 19 during the heat of the Vietnam War. He was assigned as a Forward Air Control Radio Operator in Grafenwhor, Germany. He served there in the 601st Tactical Control Squadron for 4 years. Upon return to the US he was cross trained into the Cryptologic field at the US Air Force Cryptologic School, Lackland AFB Texas and after graduation was assigned to Adana Air Base Incirlik, Turkey then to Grissom AFB, Indiana, where he worked on the Strategic Air Command, Looking Glass Airborne Command Post. Later assigned to Tatalina, Alaska – Kindsback Air Base, Germany with the 4th Allied Tactical Air Force – McClellan AFB, California – Eskisehir, Turkey as detachment commander for a small communications facility, and completed his service at McClellan AFB, California. The time he served in the Air Force was from top to bottom rewarding. He had magnificently gratifying job assignments and met great people from the places he worked and visited. He retired with three AF Commendation Medals, and two Meritorious Service medals. Upon retirement he was employed by Hughes Aircraft Company, Aurora Colorado.